Feeling in slump lately in regards to loving your home? After the excitement of the holidays wears off and the fun, festive decorations are put away for another season it’s easy to get bored with those everyday spaces. 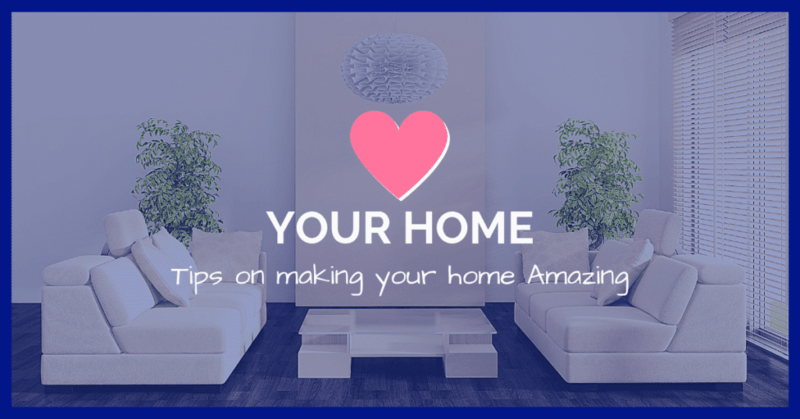 That’s why we’ve put together five great tips to help you make your home amazingly perfect for you and your family, and it’s just in time for Valentine’s Day! Self-care has never been so easy…plants in your home are known to provide healthier air, energy and when used topically, even healing. Instead of focusing on that one corner in your living room that’s lacking, brighten it up with house plants that not only provide visual beauty but, health benefits as well! Wondering what are the best plants to have in your home? Aloe vera, English marigolds, ginger, the spider plant, and passion flower are all recommended for their soothing effects and impactful health benefits. Feeling like the space in your home is creeping in around you? With all the day to day activities, it’s easy for the rooms with the most traffic to take the brunt of it. Start by decluttering and organizing the most used rooms in your home such as the kitchen, foyer, and family room. Appliances that are seldom used, can always be stored away until they’re needed, rather than sitting on the counter, investing in a shoe stand or coat rack for your foyer will encourage a designated space for items upon arrival, and purchasing a simple tray for coffee table items helps create a sense of organization amidst the chaos. Here’s a link to one of our amazing blog posts about getting your entire home organized for spring! You won’t believe the power behind re-arranging the furniture, whether it be big or small! Create a new and fresh perspective while also getting the most out of your space. Create a cozy, designated area to start your day each morning, introduce colors and textures that empower you and include art work or framed inspirational quotes. Whether it be moving a comfy chair to a cozy corner in your bedroom or simply switching the couch with the TV stand, a new outlook can make all the difference! There’s just something about coming home from a long day, to a home that smells warm and inviting. Whether it be vanilla, cinnamon, or floral, each person has their favorite scent—discover yours and utilize air fresheners, candles or even natural remedies to create the ultimate oasis. Check out THESE easy stove top scents. The color yellow evokes happiness and optimism, this is something we could all use more of, day to day. Whether it be throw pillows, pottery, or a welcome mat, incorporate this color to brighten your day! Need some inspiration? We adore this article article all about decorating with the color yellow! You deserve to come home to a happy and welcoming environment and these are just a few things you can do to make it that way! Fall in love with your amazing home all over again and reclaim the love, memories, laughter, and joy that the walls would proudly tell the story of.